Kids these days spend more time using the computer or watching television. With new gadgets like iPads, kindles and other electronic gaming stuffs, kids tend to be busy using them and miss all the fun from non-electronic games. If you think your kids will not like to do offline games, you are wrong because kids are always imaginative and creative. They would love to do things outside the box. So, we will be giving you some fun ideas on what you can do with your little loves at home. 2. Decorate foodies. Eating is one of the favorite things your little loves want to do especailly if it involves sweets. Why don;t you add a little excitement to their snacks? Get some cupcakes, frosting or whipped cream, candies, chocolates and even chips. Decorate cupcakes with them. Let your kids do whatever they want to. 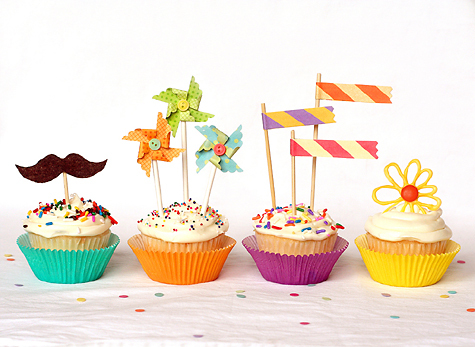 You can also add toppers to them like flaglets, different shapes and others. Well, take a picture of them before you eat them and post it in Facebook. Your kids will be happy to see their works being seen by many people. 3. Make your own adventure. Act like pirates or some adventurers who went to a place with lava and or some crocodiles or whatever. The rules is, you should not touch the floor. So, you have to be creative and use pillows, towels and other stuff to step on which will act as stepping stones. You can use beds and chairs as "solid ground".Create a goal like a basket full of goodies as the treasure or prize they will receive. This is one of the 101 Offline Activities You Can Do With Your Child which is a famous book written by Steve Bennet and Ruth Bennet. 4. Coloring fun. Well, aside from merely using coloring books, you can think of other twists in your little loves' coloring activity. Like you can let them draw some characters on paper, color it and cut it. 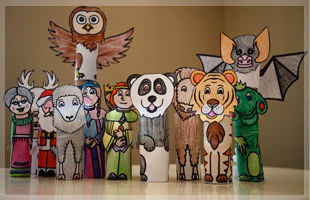 You can make them as paper dolls or finger puppets. You can also glue those characters into a tissue paper roll so they will stand. Then make up stories using them. 5. Buying and selling. Make your little loves as little entrepreneurs. Let some of them act as a seller and others as buyers. You can use buttons as coins. Use baskets or paper bags to carry the goodies they will buy. 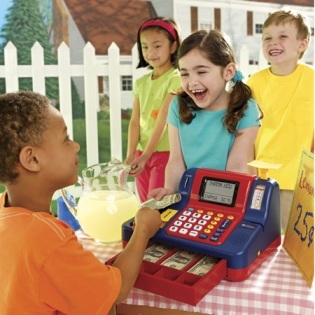 You can even let them sell the items they have made like the cupcakes or the puppets. Let the other family members buy them for your kids. They will feel happy once their items are sold. 6. Bedroom cave. Convert your bedroom into a cave. Use pillows and blankets to do that. Let your little loves join you in making caves. Then you can do activities inside the cave. 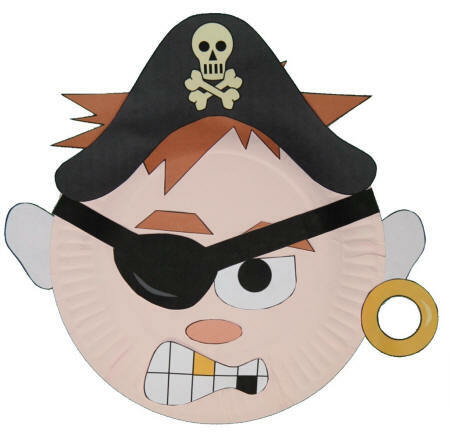 You can even eat marshmallows and other food after you pretend to grill them. Sounds fun eh? 7. Indoor sports. If you can't go outside, then try to be innovative with some indoor sports you can do. Like you can gather plastic bottles and use them as bowling pins. Use a soft ball or maybe a round stuffed toy as a ball. Give points corresponding points to bottles that fall down. 8. Mimic movies. When I was a kid we used to do this. We play cartoons on beta max (so classic lol) and mimic the actions of the characters. Our favorite was Teenage Mutant Ninja Turtles. We jump, run, eat pizza and even climb windows. But be sure you will check on your little loves coz they might fall or something. We do it inside the bedroom so if we fall, we just fall on the mattress. You can choose a movie that they'll want to mimic. You can also use books or stories and let them play the roles of the characters in it. 9. Painting fun. Get some paint. The ones that are non-toxic and can be washed by water easily. There are paints intended for kids. Then get a big piece of paper and put it on the floor. Its time to go messy. Let them play with paint and colors. But make sure that they'll not merely pour paint on the canvass. They have to be artistic using their hands and feet. 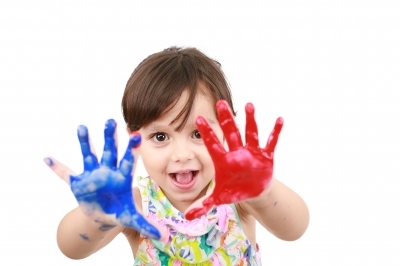 Getting messy is one of the favorite things kids want to do no matter how moms hate it. Well, they'll get dirty but they'll learn. 10. Board game twists. If you have board games, you can use them but add a little twist to it. Like if you are playing Snake and Ladder, let them climb real on beds or chairs when they get to ladders. If they get to snakes, think of a crazy consequence like painting their face or something. You can also try tic-tac-toe using food like chocolates or carrots. Use popsicle sticks as the lines of the tic-tac-toe. Let them eat it once they complete a row. You can also invent other things for board games to be more fun. Doing offline activities for your kids is not just fun. It will also make them more imaginative and they will also learn a lot from it. We will be giving you more offline activities to do with your little loves. So, be updated by liking our Facebook page or Following our blog. Have fun mommies and little loves! Lots of really great ideas! I implemeted some mandatory offline time at our house.